I decided to build such reusable arrow as an xml drawable, so that there is no need to generate plain graphic .png files each time. Thanks to it I can easily change the colour, size and arrow direction. I also added thick border (<stroke/>) with transparent color. This is because my arrow is a button, so the invisible part around is needed to ease the click (it enlarges click detection area size). – customizable, because you can easier adjust its color to better fit your UI or use it in other project – no need to regenerate png file and change it in project. Just change the xml attribute. You can override standard button and its onDraw() method. There you have to rotate text before drawing it. Same thing can be done with TextView – since button actually is extended TextView. 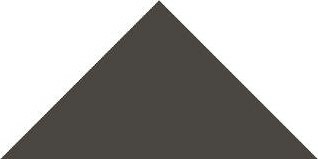 As you see – there is topDown flag. Depending on it the text will be rotated left or right (read from top to down or from down to top). This flag is set depending on the gravity defined in your layout.xml (set grafity to BOTTOM or TOP to see difference). please notice that package name of VerticalButton.java has to be written here (pl.looksok.utils).